From anti-inflammatories to opioids and antidepressants and more, many types of medications are prescribed for back and neck pain. Most offer at least some pain management benefits, but the possibility for unpleasant, and even dangerous, side effects is decidedly there. This article compares two such medications — COX-2 inhibitors and opioids. Cox-2 inhibitors are a type of non-steroidal anti-inflammatory (NSAID) medication used for acute pain, several forms of arthritis and also menstrual pain. They differ from drugs like aspirin, Aleve or naproxen sodium, and Motrin, or ibuprofen, in that their action is more specifically targeted. Scientists and doctors know that pain is caused by substances known as prostaglandins. Prostaglandins, in turn, are produced in the body by two related enzymes (each with slightly different effects), namely COX-1 and COX-2. Experts in the field also know that prostaglandins specifically responsible for pain, swelling and inflammation are really only produced by the COX-2 enzyme. The main difference between traditional non-steroidal anti-inflammatory pain medication (i.e., the various forms of NSAIDs) and COX-2 inhibitors is that while NSAIDs inhibit the actions of both COX-1 and COX-2 enzymes, COX-2 inhibitors, as the name implies, suppress only the COX-2s. The problem is most COX-2 inhibitors have been taken off the market. This is because they were found to increase your risk for cardiovascular events (heart attacks and strokes) when used over time. Vioxx (generic name rofecoxib) and Bextra (generic name valdecoxib) were withdrawn from the market in the early 2000s. Vioxx was manufactured by Merck, and Bextra was manufactured by Pfizer. As the only drug of the three COX-2 inhibitors remaining on the U.S. market, Celebrix and celecoxib now come with a "black box warning," which is a label designed to stand out enough to alert you to the questionable safety profile of the drug. Physicians who prescribe Celebrex have been instructed by the FDA to give you a Medication Guide, covering risk and dosage information. If you're wondering what else you can take besides Celebrex, a 2013 review found that of all the non-selective NSAIDs, naproxen (Aleve) likely poses the least amount of cardiovascular risk to patients. The review authors recommend that whichever NSAID you use, that you do so in the lowest dose possible, and for the shortest amount of time possible. Note that the other types of NSAIDS, the type that inhibit both COX-1 and COX-2 enzymes, may increase your risk for heart attack or stroke, as well. In fact, in 2015, the FDA ordered the wording on all NSAID box labels (including Celebrex, the only remaining COX-2 inhibitor) be updated to reflect new research that found heart attacks can occur even weeks after starting this type of drug, and that the longer you use the drug, the higher that risk may become. Opioid is a class of pain medications that has the capacity to deliver very strong relief. Opioids are often used for severe back pain, but doctors sometimes prescribe them as first line treatments for acute pain. The problem is, this category of pain relievers is narcotic, which means they come with the potential for addiction. Some patients build up a tolerance, which can lead to physical dependence, and eventually full blown addiction. Some opioid medication are pure narcotics, while others are mixed with less addictive pain relievers such as Tylenol or acetaminophen. Opioids are formulated as short-acting, and as long-acting. Even though the use of opioids for neck and back pain is widespread, the evidence does not necessarily support this practice. A review in the British Medical Journal reports that opioids are now the most commonly prescribed drugs in the United States. That said, the review author comments, opioids don't seem to help people get back to work any faster than other types of back pain treatment, nor do they improve outcomes of primary care for acute back pain. If your back pain is chronic, opioids may not do anything for you at all. The review author found little evidence that they work for this purpose. Along with the risk for addiction, opioids come with other side effects including constipation, sexual dysfunction, and depression, to name only a few. Opioids are also prone to marketing campaigns that mislead. One brand of opioid, OxyContin, or oxycocdone, was touted as a "safe" narcotic by company representatives in a very successful marketing campaign. But the top executives of Purdue Pharma, makers of OxyContin, later admitted in court that those claims were false and misleading. When you consider or are prescribed a pain medication, think about all the possible complications that could arise from taking it. You may be risking a heart attack or stroke, or living with an addiction to (often expensive) pain medication. Remember, quite often moving your body can help with back pain, regaining lost function and improving quality of life. A few visits with a physical therapist may be all you need to reclaim your quality of life. Cox-2 inhibitors like Vioxx, Celebrex and Bextra are a type of NSAID or non-steroidal anti-inflammatory drugs. They were developed in the 1990s in response to the side effects of NSAIDS. Because they are in the same family of medication, all Cox-2 inhibitors behave in pretty much the same way. Therefore, patients who replace Vioxx or Bextra with Celebrex may still be at risk for heart attacks. Although they are not Cox-2 inhibitors, other NSAIDs that pose potential dangers are Motrin, Naprosyn, Voltaren, and Mobic. Opioids are used for moderate to severe pain. In addition to chronic back pain, opioids are also administered in cases of cancer pain, nerve pain and other conditions. Opioids are very strong pain relievers; morphine is the best known example of opioids, although there are actually several types ranging from mild-acting to very strong. Examples include OxyContin, codeine, Darvon and Vicodin. The most obvious disadvantage of opioids as pain medication is the potential for addiction and dependency. Research indicates that OxyContin, in particular, is a "gateway" to addiction to other hard drugs. Sometimes, patients may be denied the medication because their motivations are misunderstood, and they may be seen as potential morphine (or other opioid) addicts. When properly administered, the benefits of taking opioids for pain are stronger than the associated risks. Opioids are quite effective for pain relief. And many researchers, governing bodies in medicine, and doctors feel that opioids are worth considering for the treatment of chronic pain. But as with any health care choice, work with your doctor and other healthcare professionals to find the best option for you. Brasseur, L. Review of current pharmacologic treatment of pain. Drugs. 1997. Cicero, T.J., Inciardi, J.A., Munoz, A. Trends in abuse of Oxycontin and other opioid analgesics in the United States 2002-2004 JPain Oct. 2005. Deyo, R., et. al. Opioids for low back pain. Clinical Review. State of the Art Review. Jan 2015. Grau, L.E., Dasgupta, N., Harvey, A.P., Irwin, K., Givens, A., Kinzley, M.L., Heimer, R.. 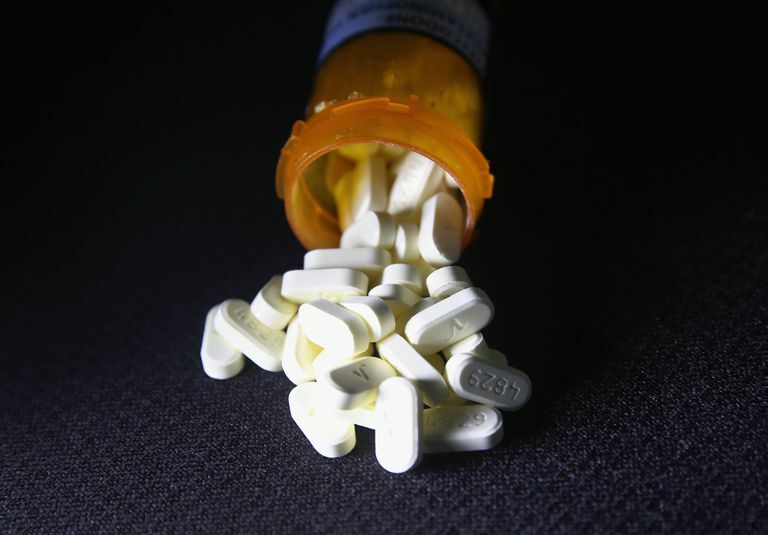 Illicit use of opioids: is OxyContin a "gateway" drug? AmJ Addict May-June 2007. Nissen, S., et. al., Cardiovascular Safety of Celecoxib. N Engl J Med. Nov 2016. Pawlosky, N. Cardiovascular risk Are all NSAIDs alike? Can Pharm J. March 2013. Questions and Answers.FDA Regulatory Actions for the COX-2 Selective and Non-Selective Non-Steroidal Anti-inflammatory drugs (NSAIDs). FDA. April 7, 2005.